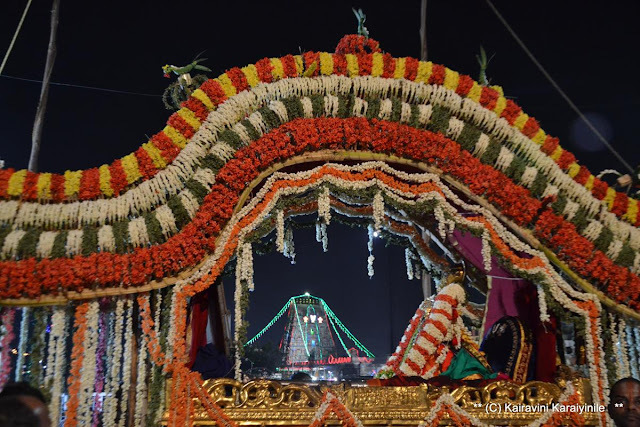 Today, 28th Apr 2017 is day 7 of Swami Udayavar Uthsavam ~ in the morning it was pallakku and in the evening the fragrant ‘pushpa pallakku’ (palanquin made of flowers). Flowers are fragrant and are naturally attractive – the pushpa pallakku – with many strands of jasmine pervading is unique as it is a treat to mind, eyes and ears. 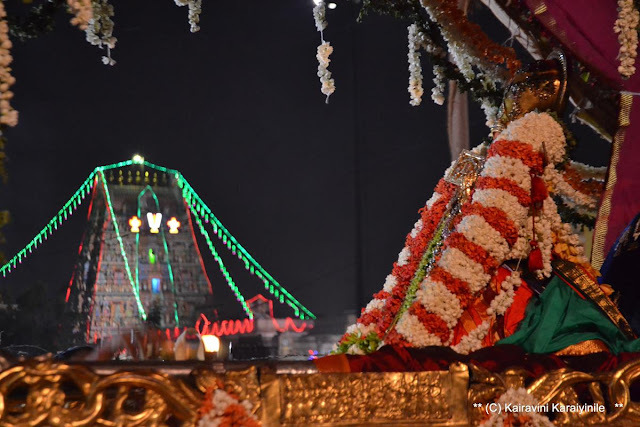 The most learned, most humble and most kind Sri Ramanujar showered us with his munificence .... here is how Thiruvarangathu Amuthanar hails the unswerving commitment of Ramanujar to the Lord Ranganathar at Thiruvarangam. In his words“*பூங்கமலத் தேனதி பாய்வயல் தென்அரங்கன் கழல் சென்னி வைத்து தானதில் மன்னும் இராமானுசன்*“.... Udayavar has in his heart the lotus feet of Arangar, the Lord of Srirangam, whose golden feet is flooded and cleansed by honey gotten from the lotus flowers......... we also need to have Sri Ramanujar in our heart and be attached to the feet of our Acharyar. 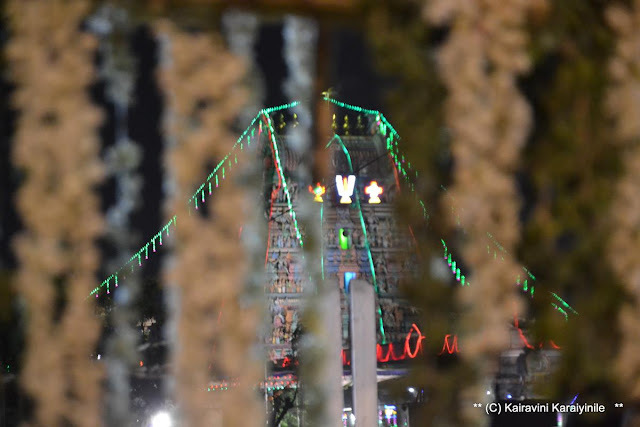 Here are some photos taken during today’s purappadu. Close-up of Sri Ramanujar taken this morning..